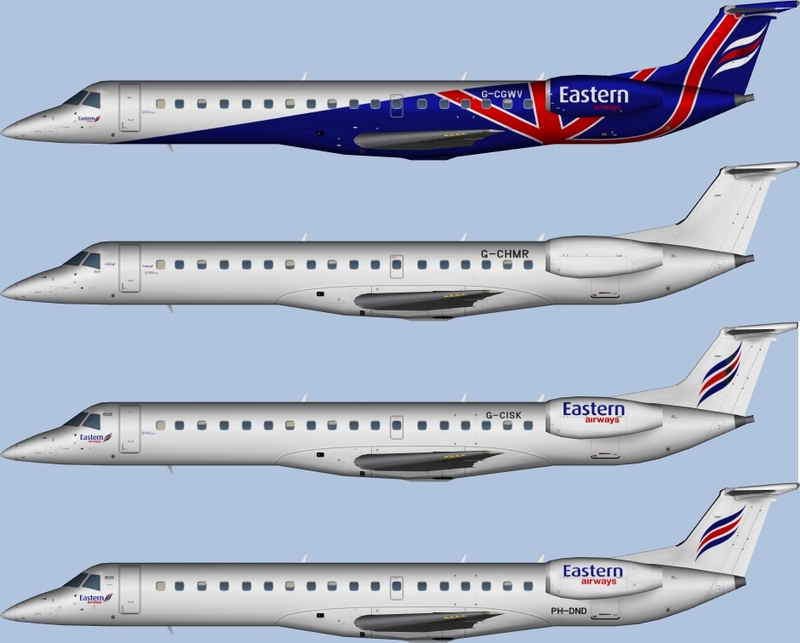 Eastern Airways Embraer ERJ-145 FSX for the AI Malcontent Embraer ERJ-145 base model. These are FSX textures only. The AI Malcontent Embraer ERJ-145 base model is required. It can be found at avsim. Search for aim_erj145.zip.